It’s easy to remember the days of reading fairy tales and bringing the vivid imagery of the villages to life in our minds. However, we always thought that’s precisely where the pictures would stay. Oh no, tucked away in the depths of Germany are some of the most picturesque and magical little villages that will transport you back to times gone by. There is a reason people flock to this northern village every year. Not only has this village got one of the most beautiful medieval towns in the world (let alone in Germany), but it also has six different churches dotted around to gasp in awe over. Plus, Lubeck also houses two of the original gates to the city that look perfectly in place in this picturesque village; you’ll be left wondering when Cinderella and Prince Charming will come riding through! 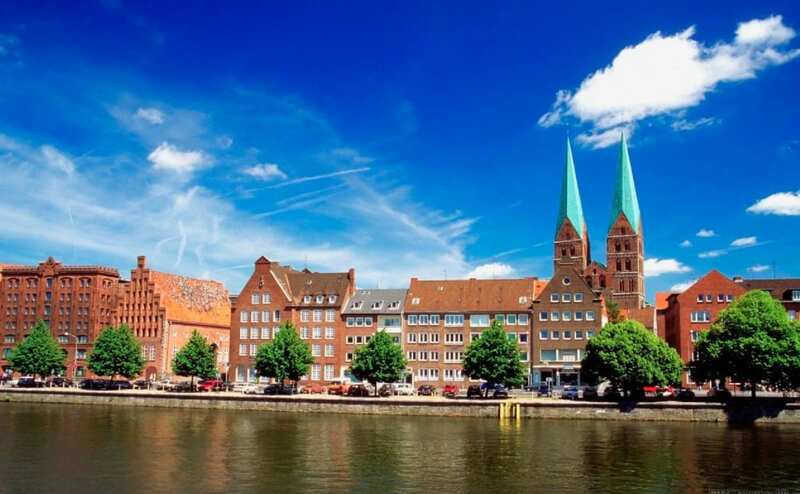 Lubeck is located right on the sea giving you some fantastic views of the Baltic Sea, as well as the passing ships that come into the docks. This village is also famous for its delicious marzipan – a perfect excuse for a visit. You’ve never quite seen anything until you take in the breathtaking scenes of the Black Forest. This little village looks as though you’d be stuck for things to do, but oh how wrong that is! If you love cherries and dark chocolate, then you’ll adore the famous Black Forest cake that Triberg has to offer. Not only is there delicious food on offer, but the region has become greatly known for producing some of the most impressive cuckoo clocks around the world; there is even a House of 1000 Clocks where you can not only see all the remarkable masterpieces but purchase one of your own, too. To top it all off if you’re a fan of hiking then you can take a stroll through the Black Forest where you’ll find the tallest waterfall in Germany: the Triberger Waterfall. At 535 feet tall it will leave you speechless. Now, this is a fairytale if ever we’ve seen one. The quaint town only houses 3,000 people, and the lack of people means you are often left to enjoy the spectacular peace as you take in the views. This alpine village also has plenty to see. The herds of cows are brought down from the mountains when the weather turns cold giving a perfect atmosphere. Ramsau is also home to the St. Sebastian Church – a building located along the edge of a flowing river. With a delicate wooden bridge giving you the means to cross over, the stunning mountain backdrop creates the most beautiful picture perfect moment. 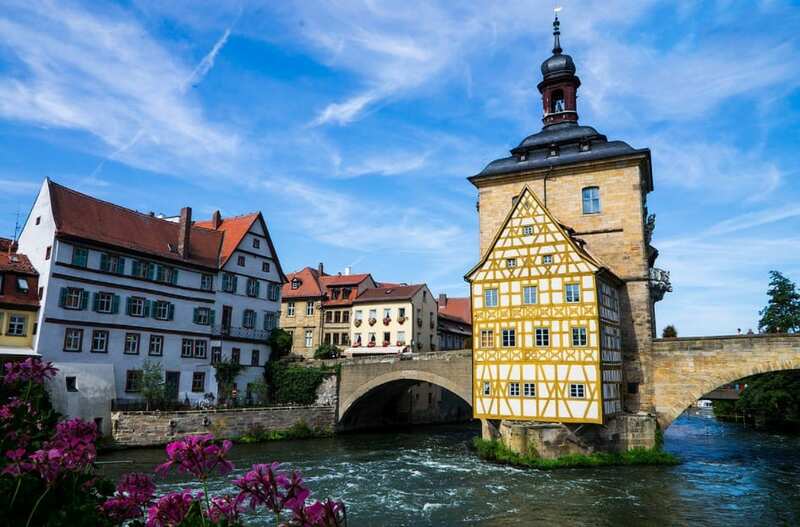 Nestled over seven hills, Bamberg’s beauty is hard to miss. The arched bridges linking the village together transport you to a fairytale world like no other. If you love looking at the architecture of historic buildings, then the 11th-century structures will definitely please your eyes. Alas, it isn’t only traditional buildings here as over the years certain modern structures have popped up. If you’re looking to take a trip back in time, then the Rathaus located on one of the arching bridges is the perfect first stop, followed by the 11th-century cathedral. Don’t forget to visit the Old Court known as the Alte Hofhaltung which was once home to the bishop of the village. If none of that is up your street, then we’re sure that pulling up a seat at the Schlenkerla brewery will be as you sip away on their famous smoked beer – a beverage you can’t find anywhere else in the world. Located towards the south of Germany, Rothenburg can easily steal a day of your visit. You can almost hear the clip-clopping of the horses on the cobblestoned streets that line the medieval village as you take in the wonderous buildings. To get a birds-eye view on things you can climb the tower at the Town Hall to watch the sunrise and enjoy the peace. The whole village is enclosed by 14th-century walls that keep the magic in as you weave your way into every nook of the stunning village of Rothenburg. While it may seem as though these villages should only appear in fairy tales, it is incredible to know they exist on our planet. The medieval architecture, the breathtaking sights, and the quaintness of every one of these villages make Germany the perfect place to visit to bring the magic alive.